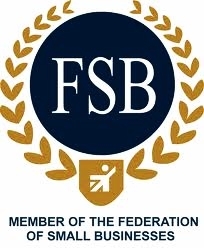 My eldest son, Michael Armstrong joined RA Chauffeurs in early 2015 having devoted the first six years of his working life to the Police Federation at Leatherhead. Mike holds a PCO Driver’s License and is now firmly established as a ‘partner’ in our business. 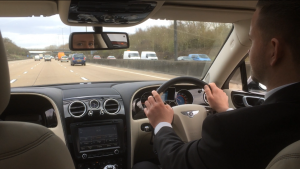 He has gained experience of the many aspects of day to day chauffeuring. His knowledge ranges from the majority of the Private Jet FBO’s serving London to West End shopping, hotels and restaurants. He is shortly taking is Institute of Advanced Motorists and in 2018 will undertake a security driving qualification. Mike is accomplished at driving in a “back up” role and demonstrates an understanding of the requirements driving security conscious clients. He is undaunted by driving celebrities from film, music, television and sport. 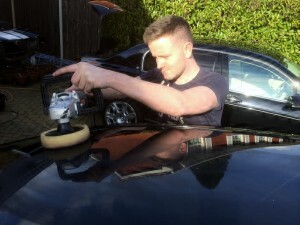 Mike has assumed the additional role of Transport Manager attending to our vehicle’s valeting requirements as well as ensuring our vehicles adhere to their licensing and servicing schedules. Mike has been invited to join me and colleagues on the judging panel of Professional Driver Magazine. Mike mostly drives our Mercedes S Class and V Class but is insured to drive our Bentley Continental Flying Spur. 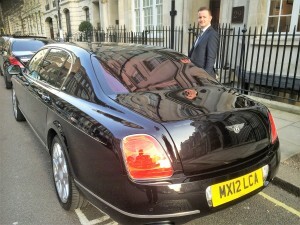 Mike has received numerous plaudits from not only RA Chauffeur’s clients but fellow colleagues and their clients. It is very gratifying and proves unequivocally Mike has the aptitude, character and driving ability to meet the high standards at the upper end of the chauffeur industry. In recognition of his achievements to date I am happy to entrust him with our Bentley Flying Spur when circumstances dictate and soon the business. Very proud!